The battle for the best basketball video game of the year is now getting fiercer. 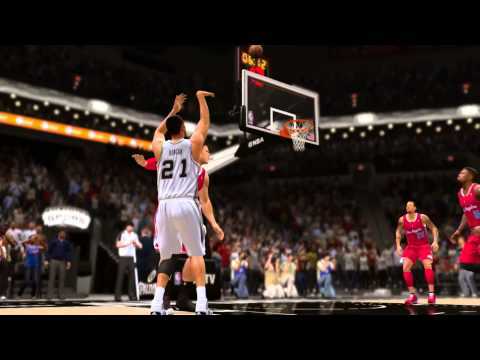 EA Sports finally released the official gameplay trailer for NBA Live 14, just one day after 2K Sports released the NBA 2K14 next-gen trailer. In addition to the first feature trailer unveiled last week, EA Sports has released a batch of new NBA Live 14 images showing off some amazing graphics of the game. Check out the screenshots below and let us know what you think. 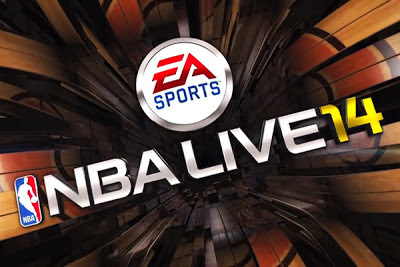 EA Sports has released the first actual gameplay for NBA Live 14, the latest installment in the NBA Live series. You can watch it below. 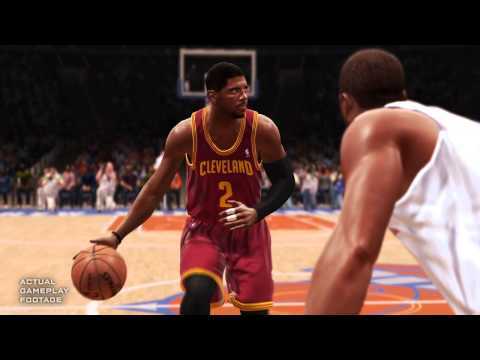 The short footage features game cover athelete Kyrie Irving and the Cleveland Cavaliers playing against the New York Knicks in Madison Square Garden. It also showcase certain things such as player animations, ball-handling moves, textures of the jersey, shoes, ball, player accessories and many more. In the end of the video, it shows Irving attacking the rim followed by "To be continued" text. We've also added some screenshots taken from the official trailer. EA Sports continues to tease the upcoming NBA Live 14 basketball video game, and has recently released the first gameplay screenshot. 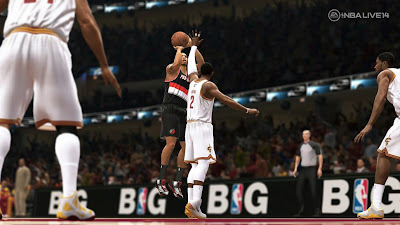 The image features the game cover athlete Kyrie Irving defending Damian Lillard. 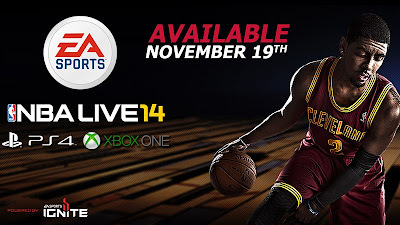 EA Sports has officially announced on Twitter the set release date of NBA Live 14 for the next-gen consoles. The latest installment of the NBA Live series will be coming to Xbox One and PlayStation 4 internationally on November 19, 2013. EA Sports announced that NBA LIVE 14 will include a new a single player career mode called "Rising Star", which is similar to NBA 2K's MyPlayer / MyCareer feature. Gamers are allowed to create their ideal player and make their own history as an NBA player for up to 25 years in the league. You will earn Rising Star points each game, which you can use to upgrade your players' attributes and buy new skills. 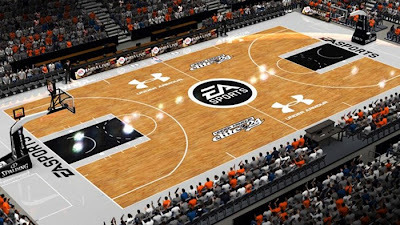 Rising Star starts with the EA Sports Draft Showcase, which will be held in the Under Armour arena (see screenshot above). The better you play, the higher the chance of being drafted in higher position. You'll begin playing off the bench and work your way up to become an NBA All-Star. When it's all said and done, will you be the next NBA Superstar? After EA Sports revealed that Kyrie Irving was chosen as the cover athlete of NBA LIVE 14, they conducted an interview asking him a few of questions about his career and his thoughts about the game. 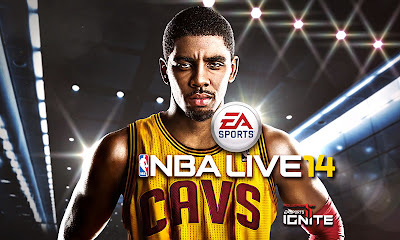 Electronic Arts announced today that Cleveland Cavaliers guard Kyrie Irving has been selected as the cover athlete for the upcoming basketball video game NBA Live 14. The latest installment of the NBA Live series will be released exclusively on next generation consoles (Xbox One and PlayStation 4). 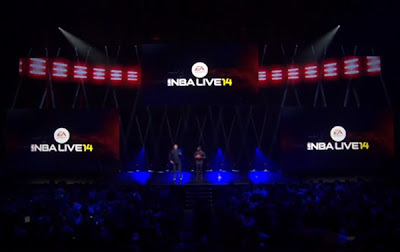 Check out the video announcement trailer below, in which EA Sports included a small NBA LIVE 14 in-game footage. 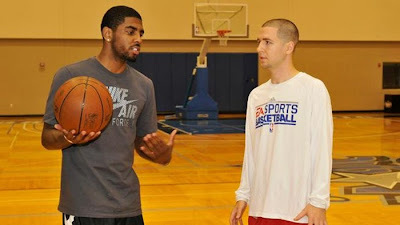 Description: Watch executive producer Sean O'Brien and the cover athlete of the game Kyrie Irving on-stage as they introduce the new feature of NBA Live 14 called "BounceTek" system which makes ball handling in the game more realistic. 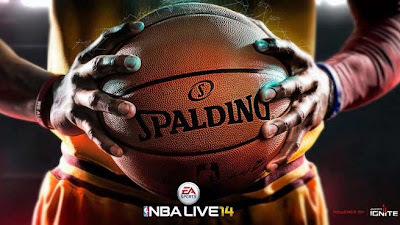 Description: A new NBA Live 14 trailer has been released by EA Sports during their presentation at E3 2013. The trailer features main star Kyrie Irving and the Cavs playing against the Clippers. Don't get confused as the video teaser only shows pre-rendered CGI and not an actual gameplay footage.